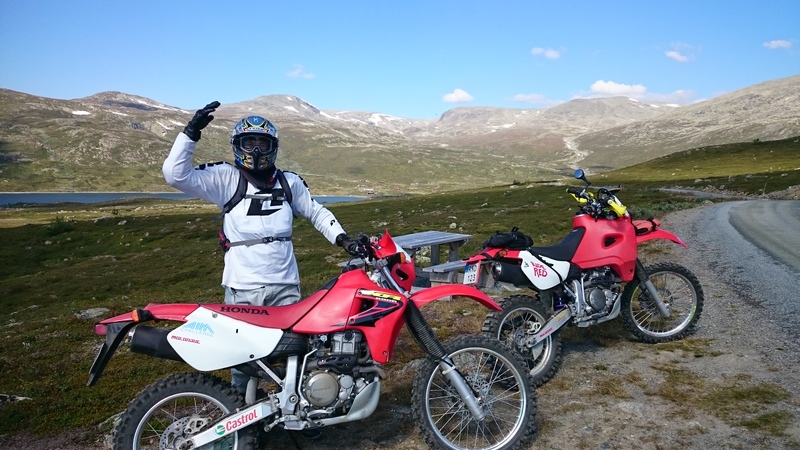 Pictures from last weekend trip to Hemsedal, Norway. Getting ready for the event. The idea was to work for my friend from the Morocco trip in 2013, Lisa and her AIM-Challenge. 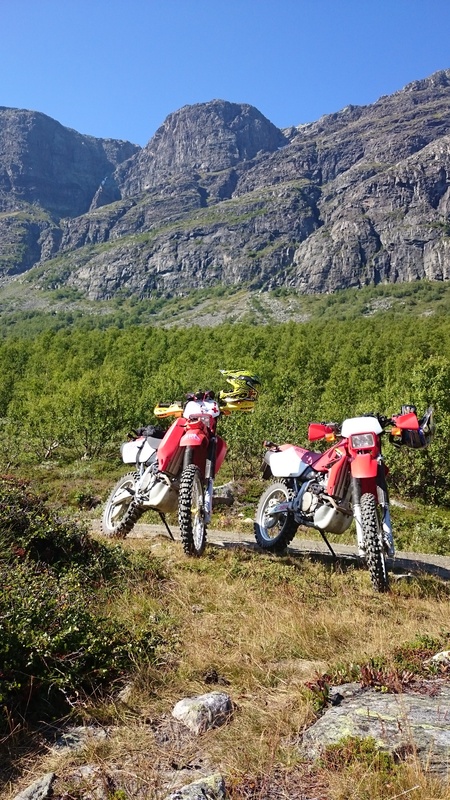 We brought two bikes and had some truly great driving up the trails crossing the mountains with breathtaking views. 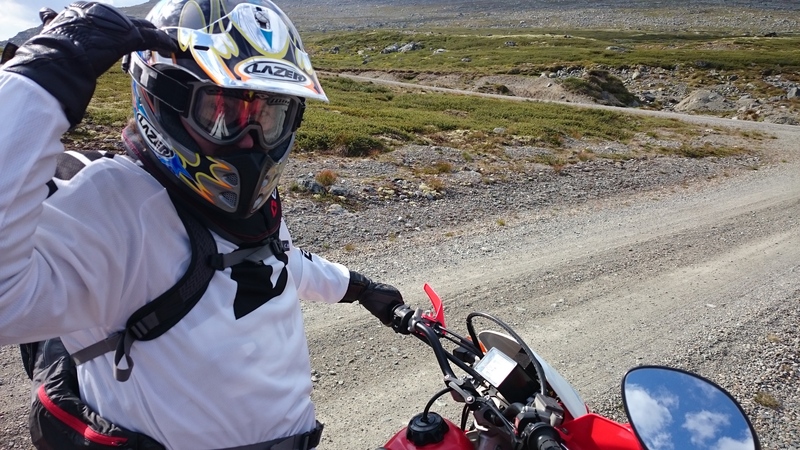 My fellow XR-driver Johan ready for take-off. Pictures doesn´t make the nature justice, however you get the idea…. A Motonaut Rack secures your load. 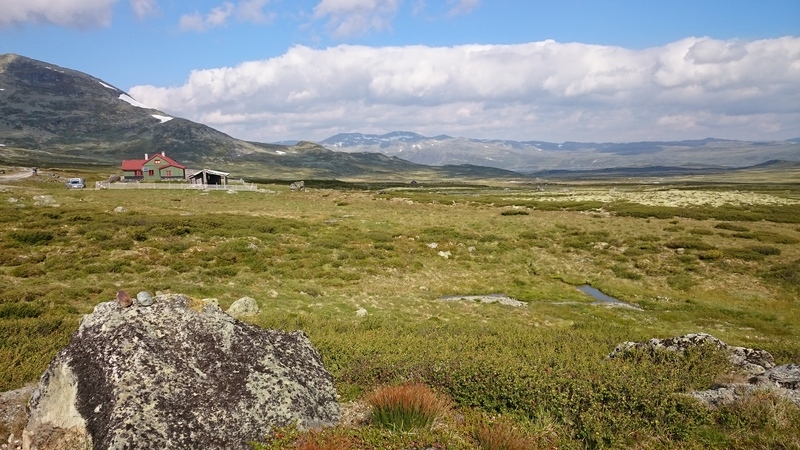 This place in Hydalen was absolutely the most beautiful place in a long time…. 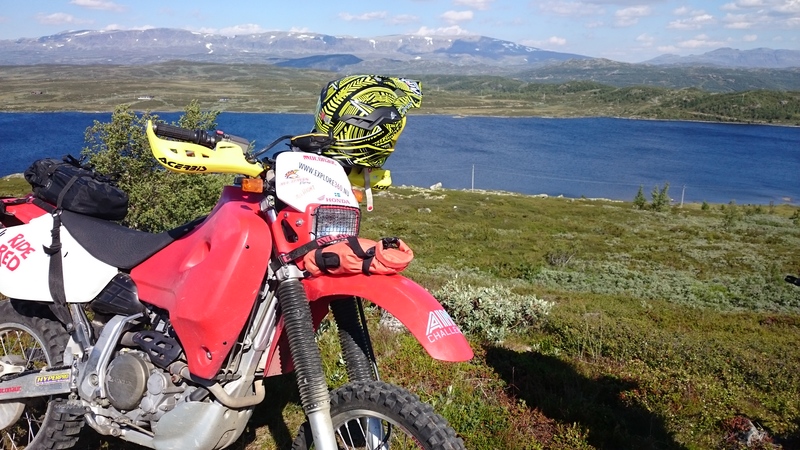 A short break in ”Hydalen”. 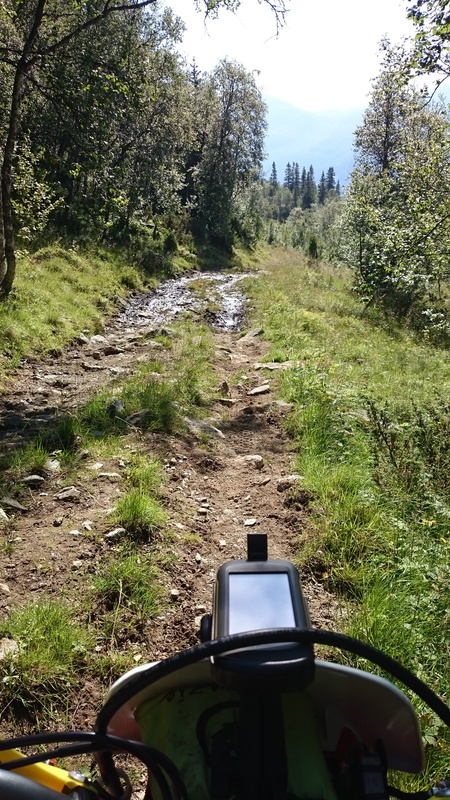 We also found a more technically challenging trail on our second day. 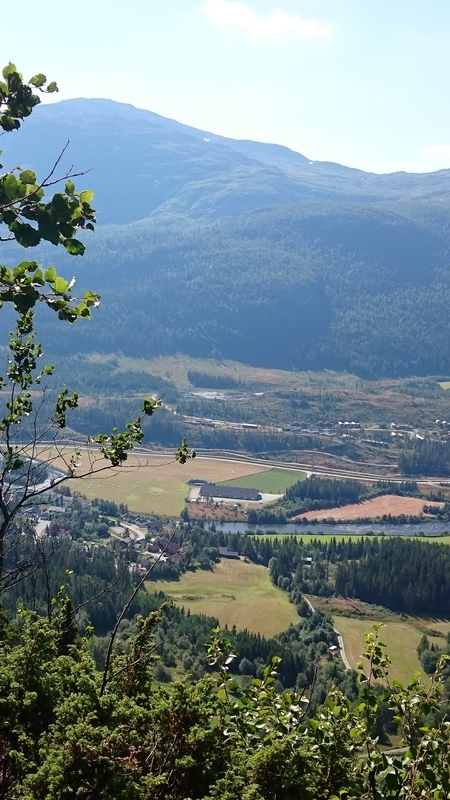 Hemsedal from 920 meters above sea level.